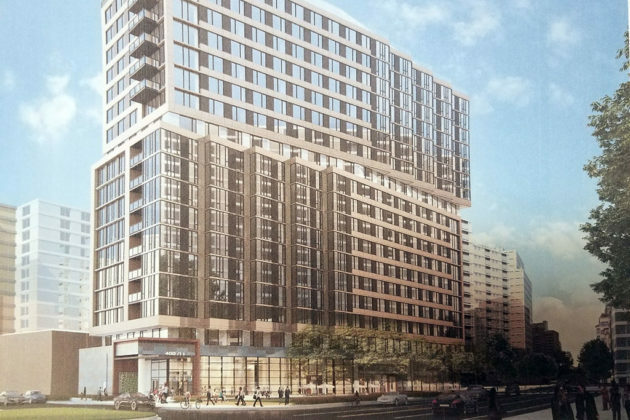 Rendering of the new “12th Street Apartments” proposed for the Verizon site on 11th Street S.
What was first proposed as a 280-unit apartment and retail development in the Crystal City/Pentagon City area has grown to more than 300 units. Last fall, developer LCOR Inc. filed a preliminary site plan application for a 285-unit multi-family and retail development at the intersection of 12th Street S. and S. Eads Street, on the site of a low-slung Verizon building and parking lot. 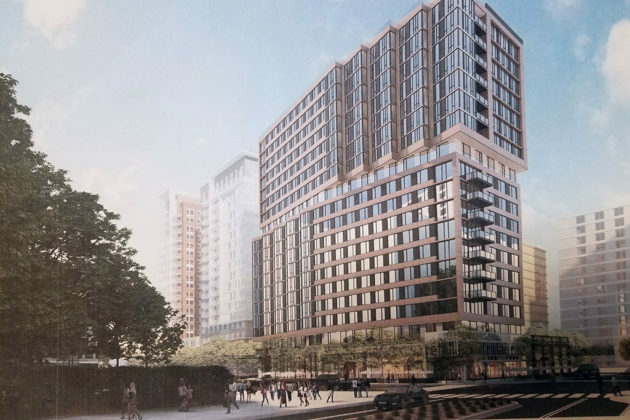 In February, three months after Amazon announced that it would be building its massive “HQ2” across the street, the developer upped the requested number of units in the 19-story building to 306 units, according to county records. LCOR has said that it will provide additional community benefits in exchange for the added density. The revised February application also reduced the planned retail space on the ground floor from 12,194 square feet down to 10,908 square feet. The proposed building will be located at 400 11th Street S. and will feature a mix of one and two bedroom apartments, along with a rooftop recreation space. 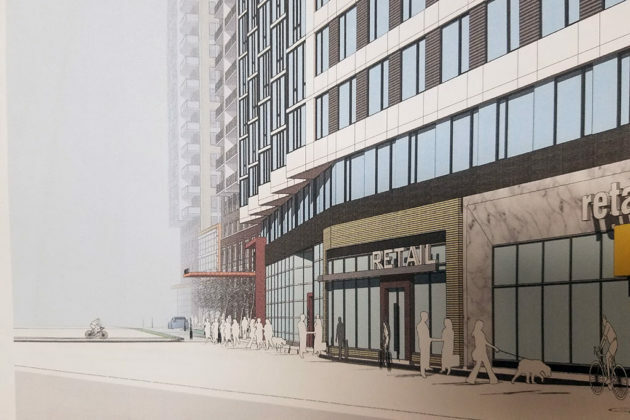 LCOR Inc. is calling the multi-family and retail development the “12th Street Apartments” and plans also includes a three-level parking garage with 114 spaces, with parking for both cars and bikes. 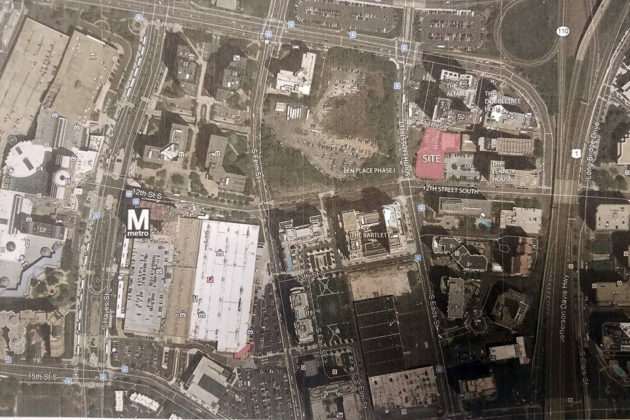 The developer has been active in the area, previously acquiring the nearby former Department of Defense Inspector General “Paperclip” building, where it built a high-end, 451-unit apartment building called the Altaire. In December, LCOR teamed up with Crystal City BID to set up an interactive art display on the site of the new development.